With autumn in full swing, the British weather is already proving unpredictable with sudden temperature drops, gale-force winds and showers. And while we know it’s important to wrap up in these adverse conditions, we know you also want your outfits to be stylish. Here, we’ll show you how to dress for this notoriously unpredictable season. When the seasons change, and you can no longer predict what sort of weather the day will bring, it’s time to ditch the T-shirts and wrap up instead. Layering up with long-sleeved t-shirts and knitwear will be the order of the day: not only will this keep you cosy on your commute to work in the morning, but you can easily shed some clothing if it warms up. The Aran jumpers from Joseph Turner are perfect for this and will soon become a staple in your layering wardrobe. Not only will the chunky cable-knit keep you warm, but the range of colours on offer is so versatile they can be worn with almost anything, from chinos to denim. It can be difficult to find clothing that’ll withstand the rainy, British weather and still look good. We recommend going for a quilted coat, like this one from SheIn. As well as ensuring you’re dry, the on-trend khaki shade will still mean you look sleek and stylish, and the thick padding will keep you warm, no matter what obstacles the weather throws at you. If you’re after something a little cosier, a shearling or fleeced-lined parka will look equally as stylish. Accessories are a great way to liven up an outfit and give it the perfect finishing touch, and when the cold and drizzly weather hits, scarves, gloves and hats will be a necessity. But, you’ll also need a trusty umbrella to keep you dry. We love this one from Davek. Not only will it protect your stylish outfit from the elements, but it’s also compact enough to stealthily fit in your coat pocket, too! 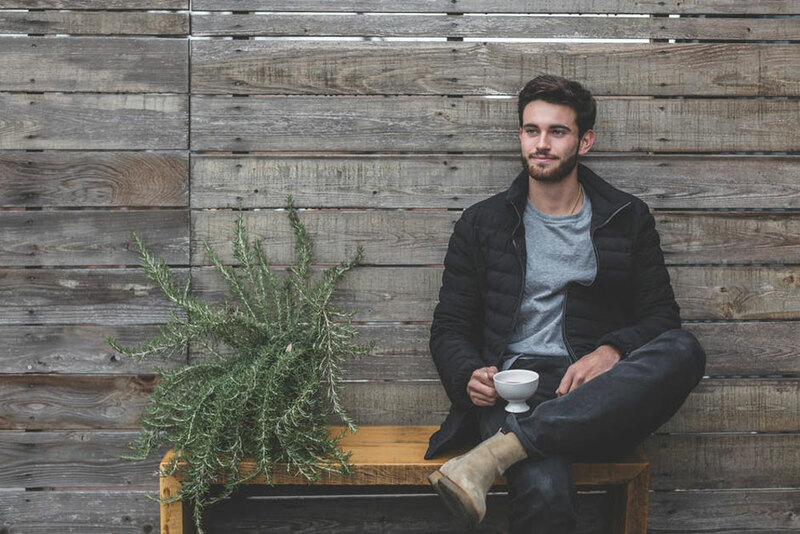 Dressing for unpredictable weather can be difficult, but with these top three tips, you’ll be warm, cosy and stylish throughout the transition from autumn to winter.